Plazo de solicitud: noviembre 3, 2018. 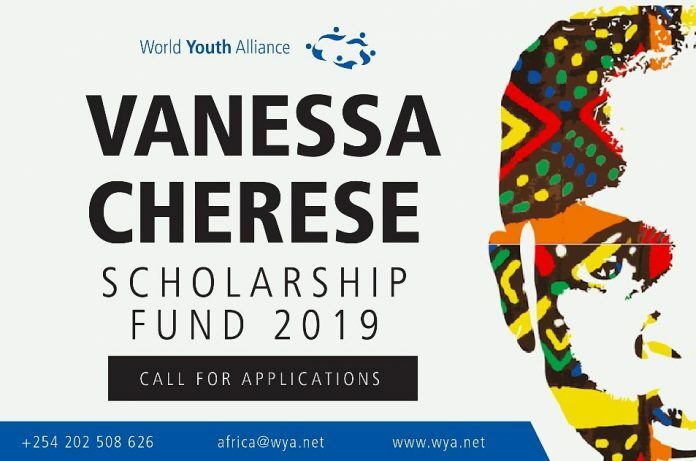 World Youth Alliance (WYA) África opens the 2018 search for a passionate, committed, and dedicated World Youth Alliance member from Africa who will represent the region in the second or third batch of the Programa de pasantías globales de WYA (May–July or September-December 2019) in New York City, USA. Successful completion of WYA’s Certified Training Program and Regional Internship Program in the WYA Africa regional office are prerequisites to apply for the search. Los solicitantes deben enviar sus requisitos de solicitud completados a [Email protected]con el sujeto 2019WYAAVCSF_LastName on or before November 3, 2018.